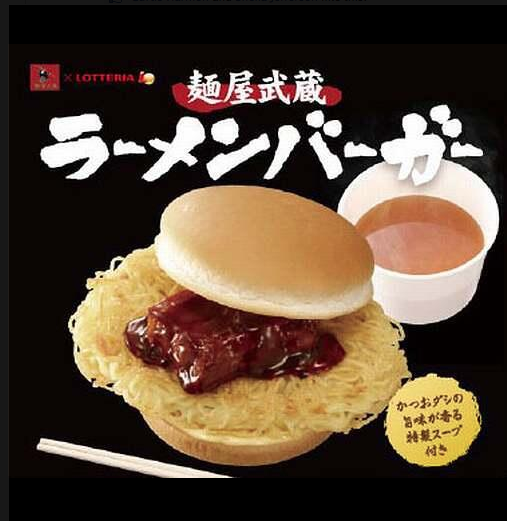 The fast-food chain in Japan knows as Lotteria has come out with a new product and it is called the "Ramen Burger" it comes with miso soup. That 'burger' is sooo wrong. I might consider trying this if I were running a race the next day. Otherwise... pass! Why don't they just replace the buns with the ramen noodles instead? It'll be like the KFC Double Down, but with more carbs.